At the doors of Bayreuth is the Eremitage, with historical parks from the 18th century and the old palace with fountains and water attractions and the orangery. In 1715 margrave Georg Wilhelm built the old palace near the residential town of Bayreuth as the central feature of a court hermitage. In 1735, when margrave Friederich took over the government of the margraviate, he presented the Hermitage to his wife Wilhelmine. Fascinated by this unique complex, the margravine immediately began enlarging it. First adding new rooms to the old palace including a music room, a Japanese cabinet and the Chinese mirror cabinet in which she wrote her celebrated memoirs. Between 1743 and 1745 various buildings and fountains, such as the ruin theater and the lower grotto were produced from designs of Joseph St. Pierre in the hermitage of margrave Friederich. The new palace and the upper grotto were built from 1749 to 1753. 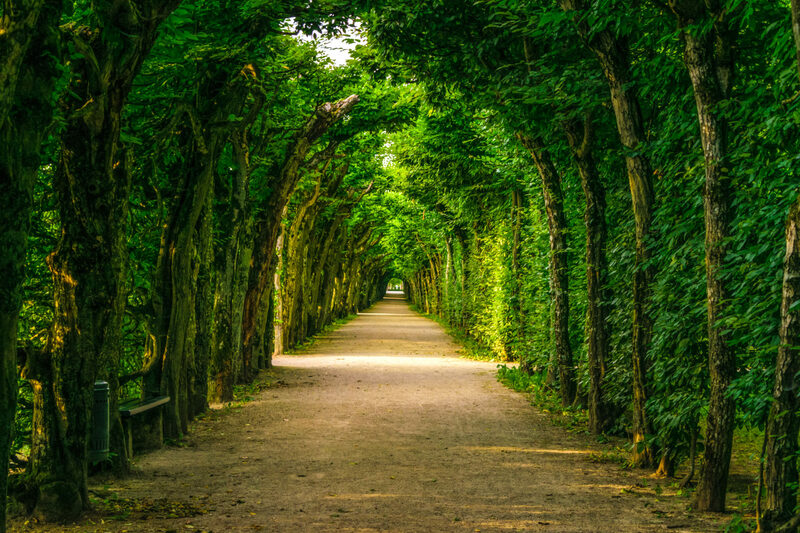 In the sections added by Wilhelmine to the existing gardens, she introduced traditional baroque elements such as hedge gardens, pergolas and waterworks. Created in an era when there were no gardens of this type in all of Germany, the Hermitage is thus unique amongst the gardens of the 18th century. From 1735 margravine Wilhelmine added further formal sections with boskets, avenues and water features to the gardens originally laid out by margrave Georg Wilhelm. Although traditional baroque elements were used, the result was not a typical baroque garden: the complex is not dominated by a main axis and the individual garden sections are more independent from one another than usual in the high baroque era. The new palace with the upper grotto, the lower grotto, the margrave`s Hermitage, the ruin theater and other small buildings from Wilhelmine`s day are still the dominant features of the Hermitage. At the end of the 18th century, the Hermitage court garden was transformed into a landscape garden, which included replacing the boskets with natural stands of trees and meadows. Over the last 30 years individual sections of the park, which had disappeared in the 19th century, have been reconstructed.